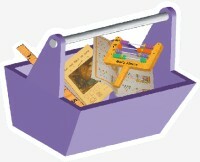 Legend Strips are provided in the workbook, to be cut out and taped over the Abacus Legend. 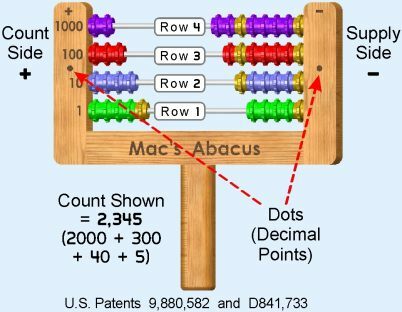 Each Legend Strip corresponds to a particular Set of Lessons (1 to 175 and others). Attach the Legend which matches the objects of the current Lesson Set. 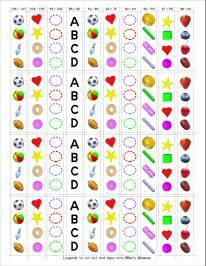 The range of applicable Lesson Sets is printed above each column of cut-out Legends. There are additional Legend Strips on the last page, labeled “GAMES”. 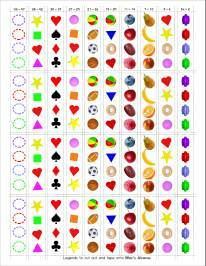 These are used when keeping score between two players.